When playing NES and SNES games with an emulator, nothing is better than using the original gamepads (and mouse). 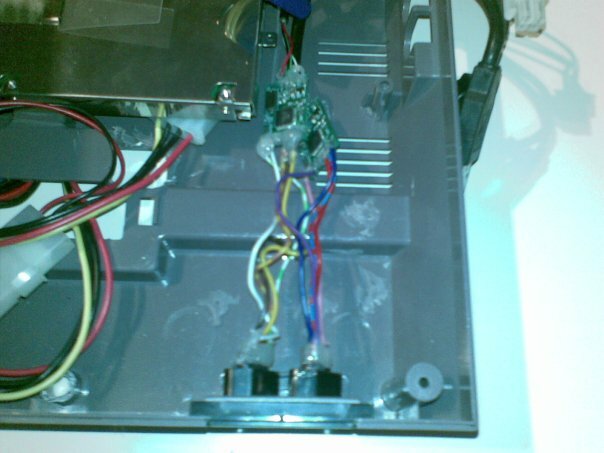 Many people (including me) have been happy doing this with homebuilt parallel port adapters for years but unfortunately, parallel ports are becoming less common these days. 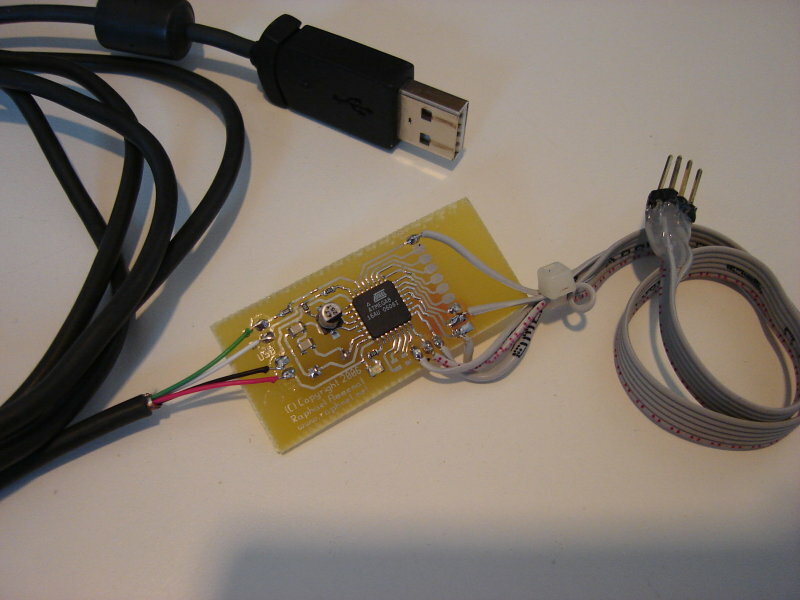 USB is now the way to go for such devices so I decided to build my own NES/SNES gamepad to USB adapter. 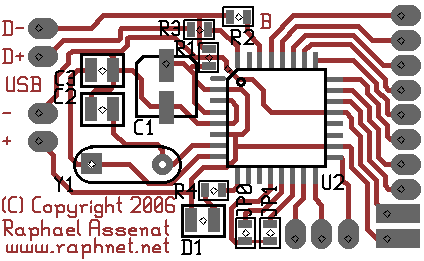 However, due to the way USB works, the adapter is a little more complicated. 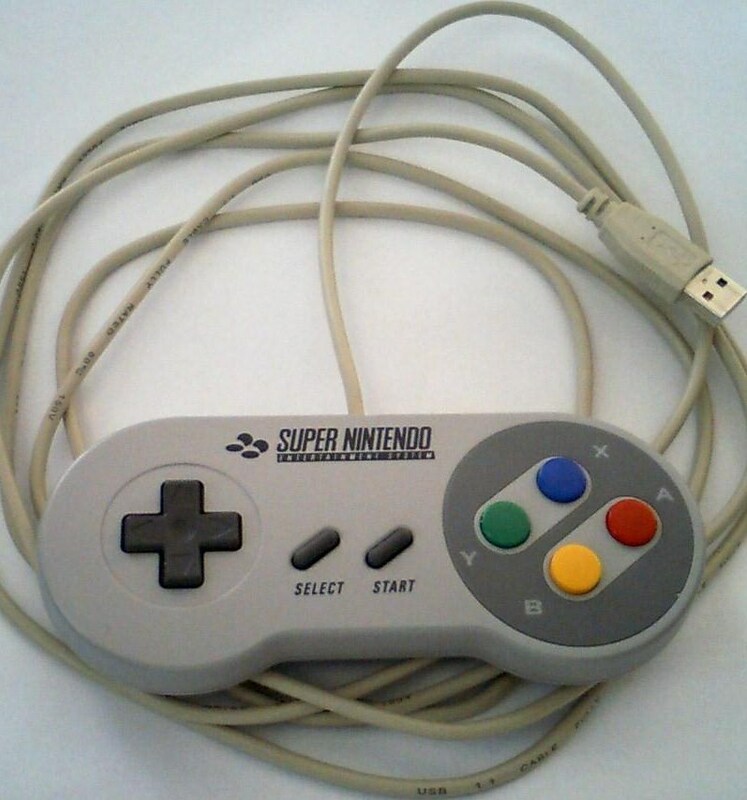 Note: There is now a new version which supports up to 4 NES and/or SNES controllers at the same time. 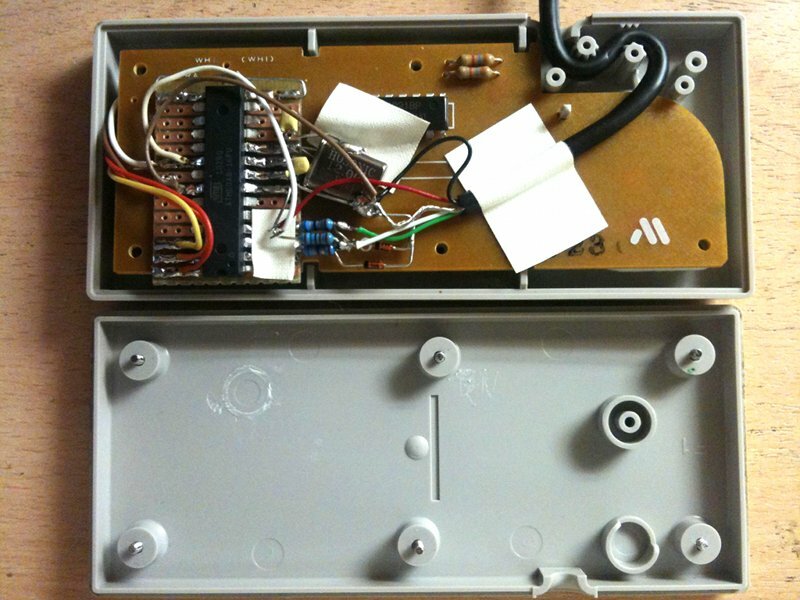 New firmware release (version 1.9) supporting the Famicom controller with built-in microphone. Added support for Atari style joysticks. More details on a separate page. 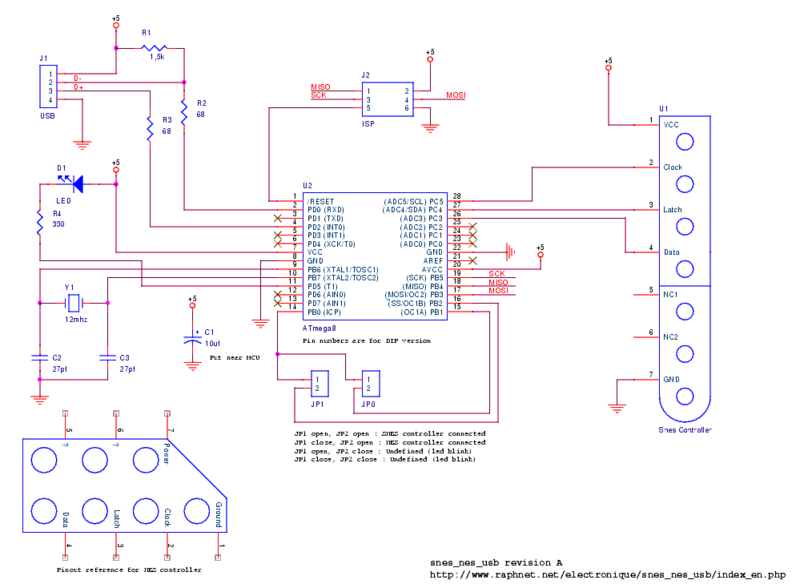 New firmware v1.3: Fix a problem that occured when no controller was connected to the circuit, better NES controller support and PCB rev.C support. New PCB Rev C: Diodes now have a place to be soldered and the board is a little smaller. 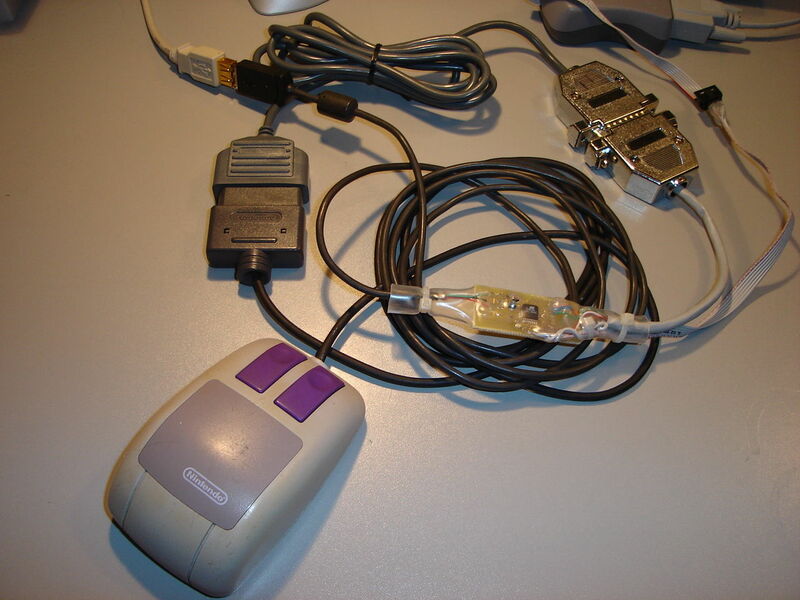 Oct 2, 2006: New firmware v1.2 which adds Snes mouse support. 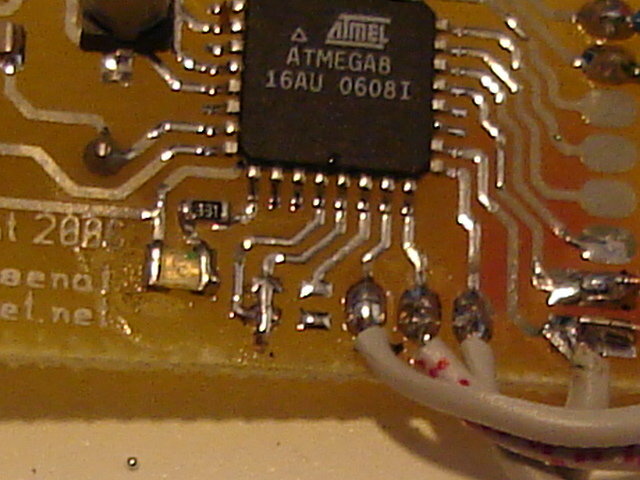 In snes mode, the mouse is auto-detected. 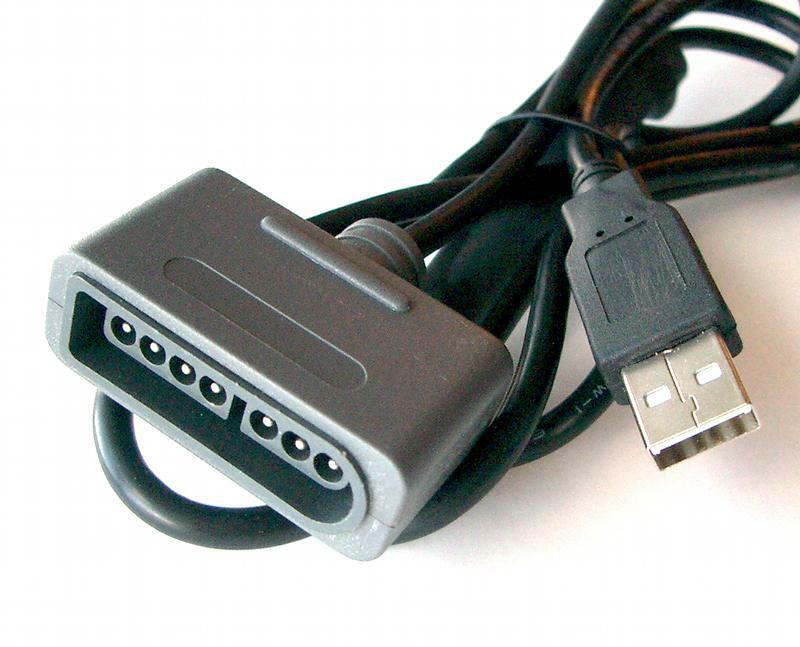 The 3 mouse sensitivity levels are selectable by holding either the left, right or both buttons when connecting the usb cable. 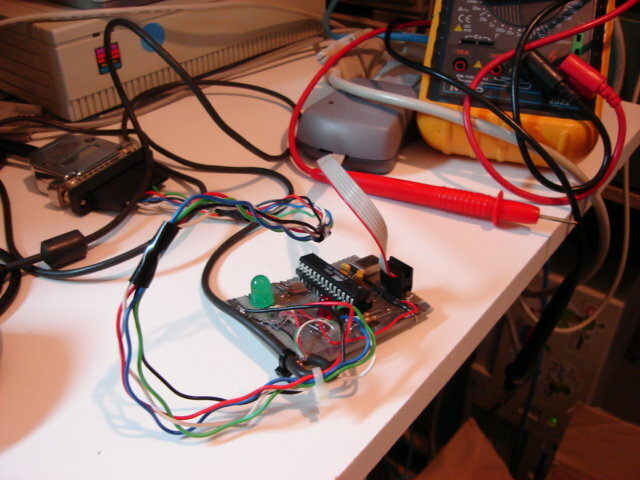 Jul 11, 2006: Added screenshots and released firmware version 1.1, which behaves better in Windows and MacOS X.
I built my adapter using an ATmega8 microcontroller from Atmel. 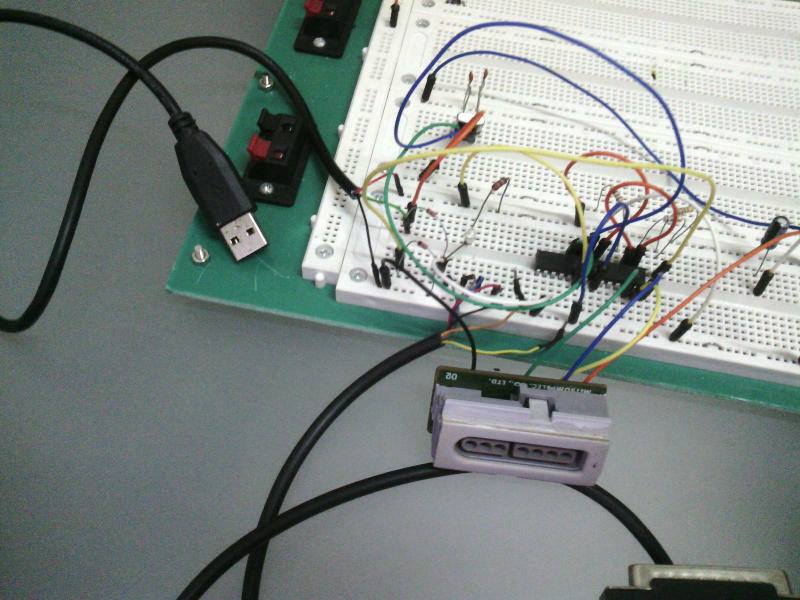 This microcontroller does not support USB in hardware so I used the software-only usb driver from Objective Development. 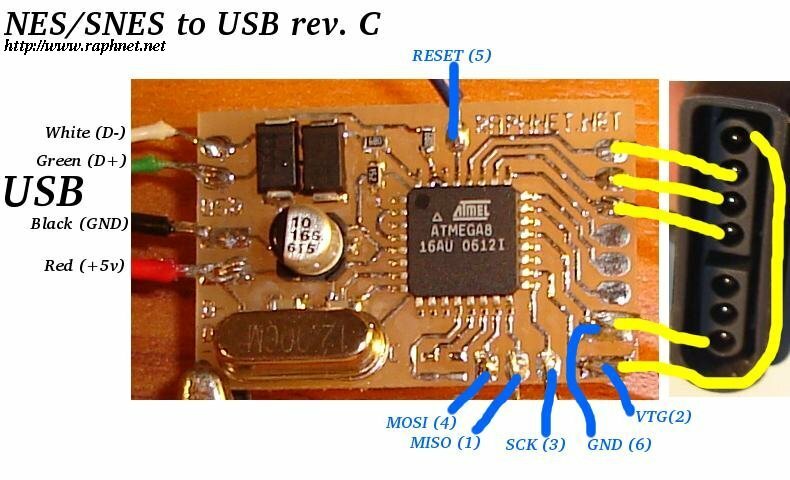 This driver allows an AVR microcontroller such as the ATmega8 to talk USB with minimal external components. 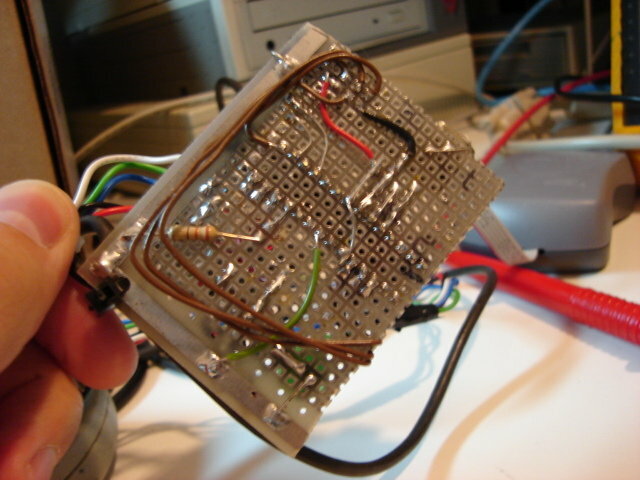 As a result, the interface can be built cheaply and easily, thanks to the low component count. 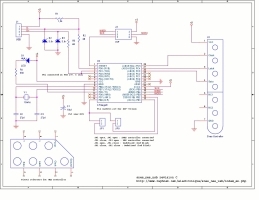 Depending on your skills, you may build the interface using breadboard and thru-hole components or the surface mount version, using the PCB artwork I provide. 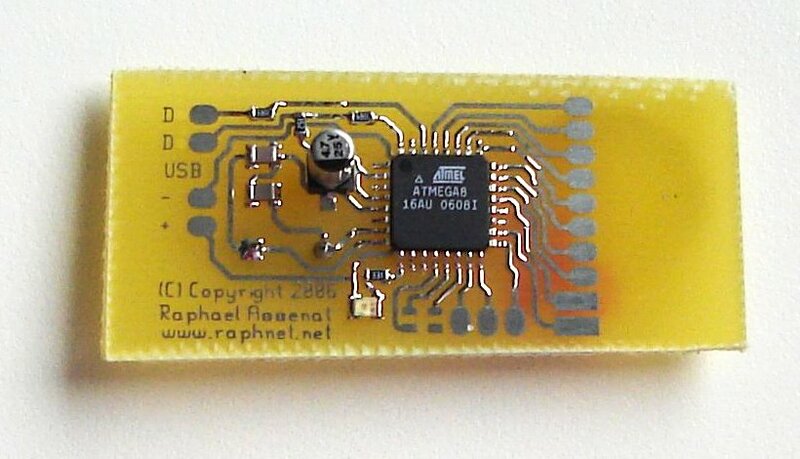 I also sell pre-assembled PCBs, and pre-programmed Atmega8 (dip package only). 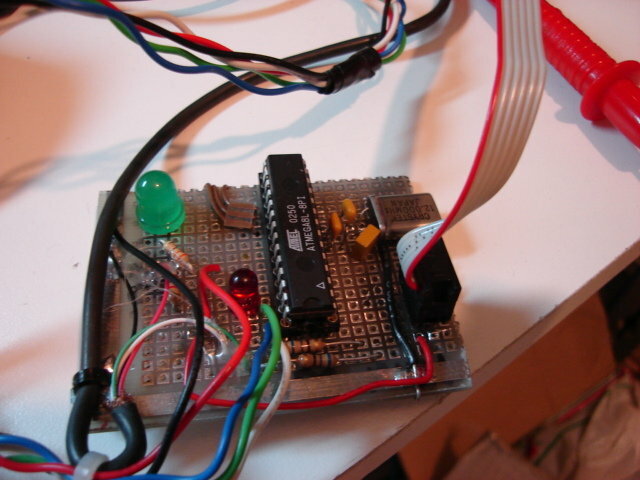 U2: Atmega8 microcontroller. 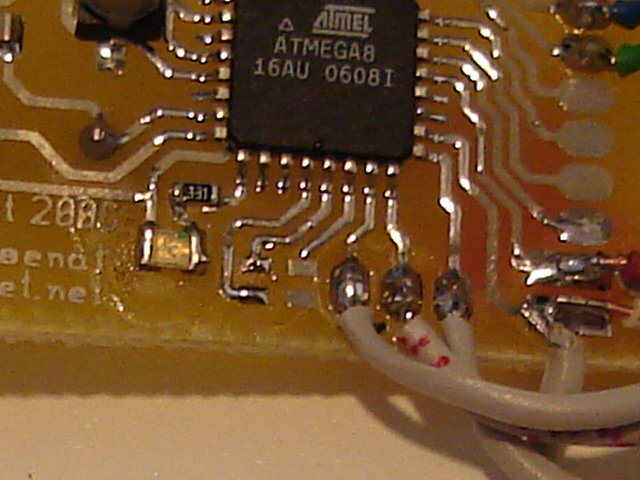 ATMEGA8-16PC, ATMEGA8-16PI, ATMEGA8-16PJ or ATMEGA8-16PU. 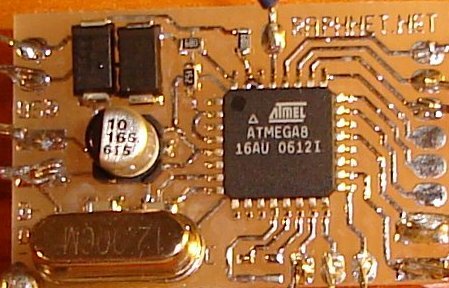 Dont use an ATMEGA8L-*, the 12Mhz clock would be too high. 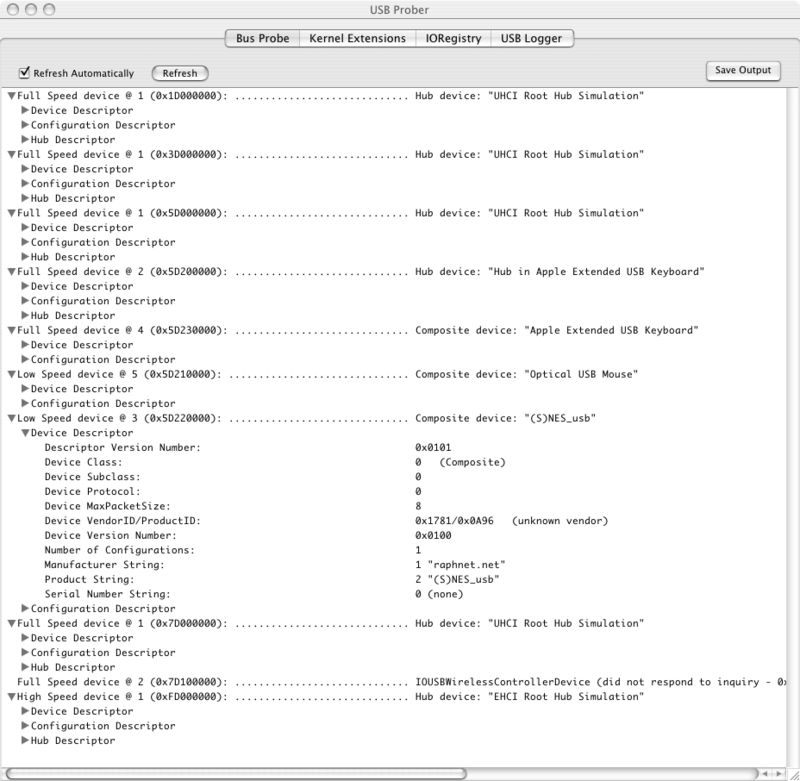 R4: Do not install, not used anymore. 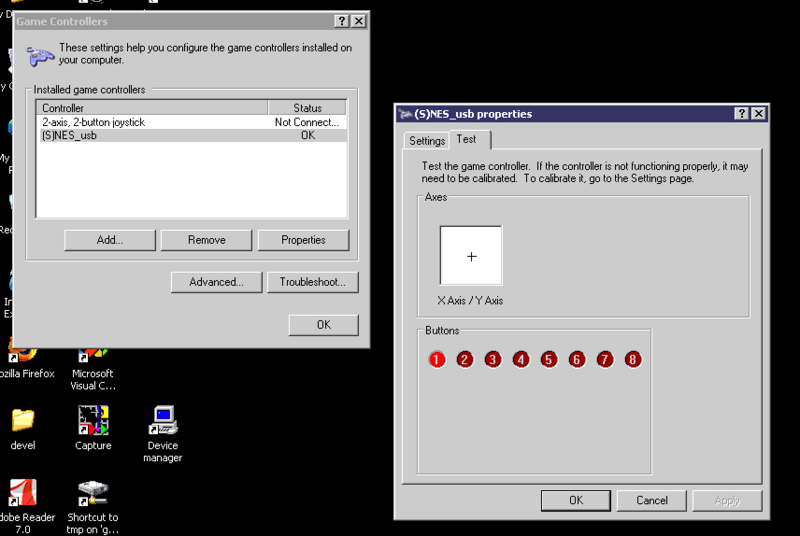 D1: Do not install, not used anymore. Since release 1.9, the famicom controllers are supported. 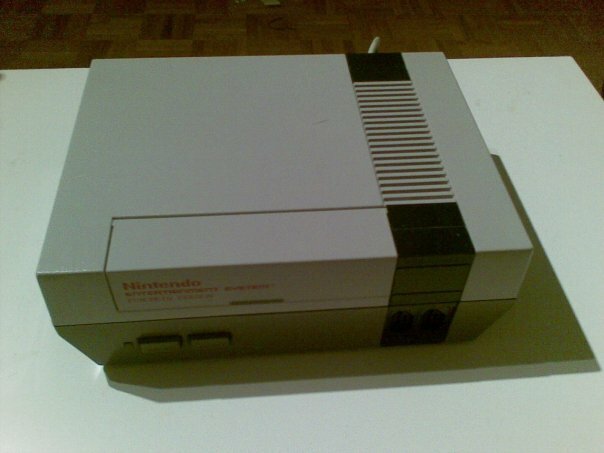 Well in fact, no changes were necessary for controller 1 since it is functionally identical to the NES version. Controller 2 however, is a different story. While it does not have start and select buttons, it adds a microphone! 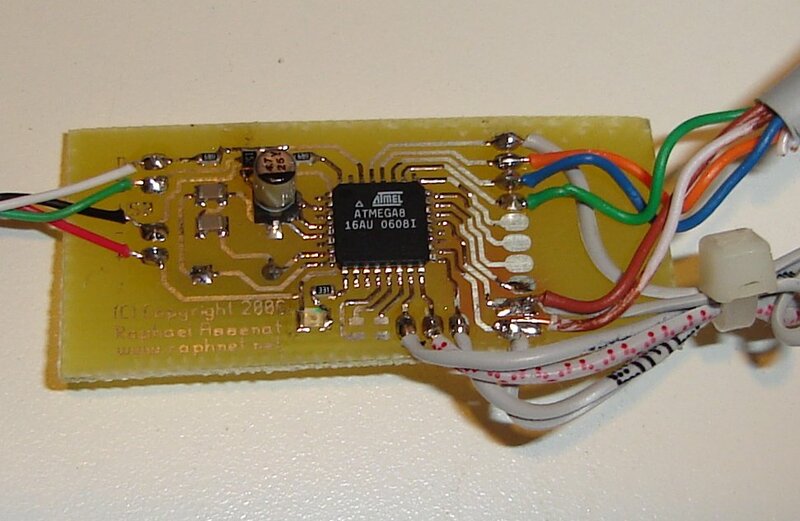 As requested by a customer, I implemented a new firmware for using this microphone as a butotn. The lack of start and select buttons is not a problem (excluding that those buttons can be useful! 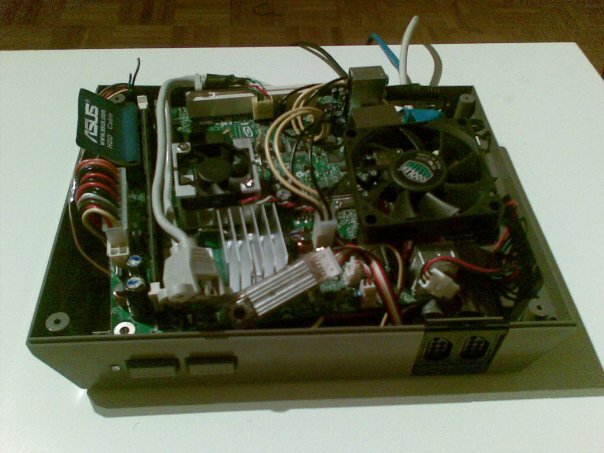 ), but the microphone required an additional input because it uses a separate wire. 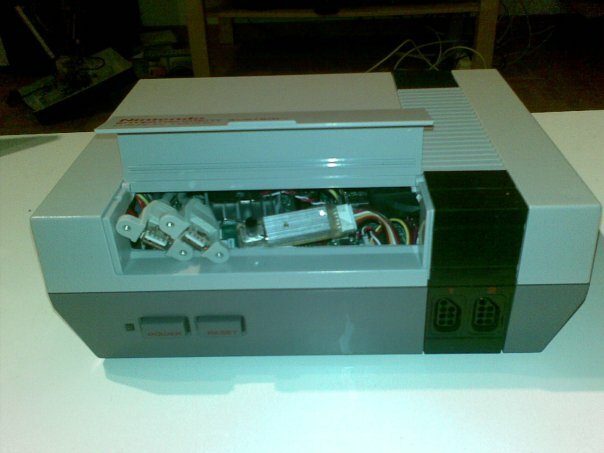 First the clock, data and latch signals are wired to the circuit as you would a standard NES controller. 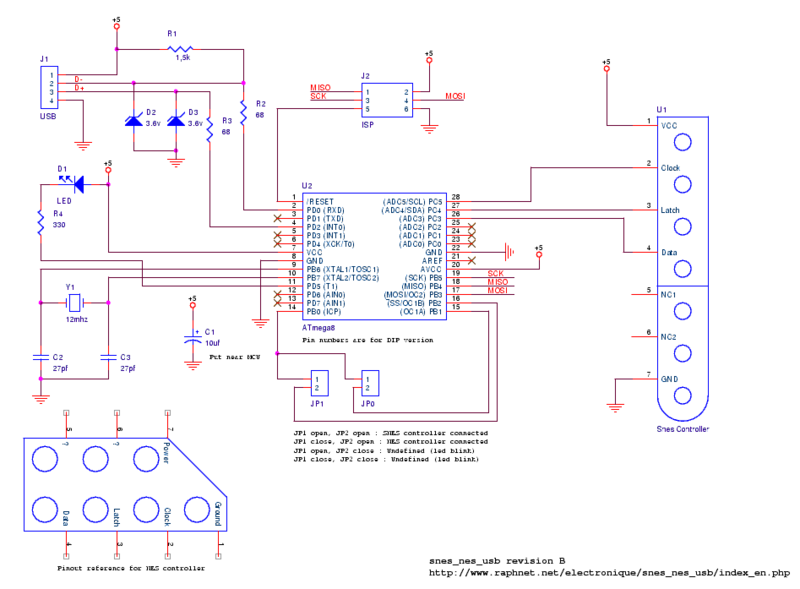 Next the microphone output must be wired to the MCU PC2 pin. 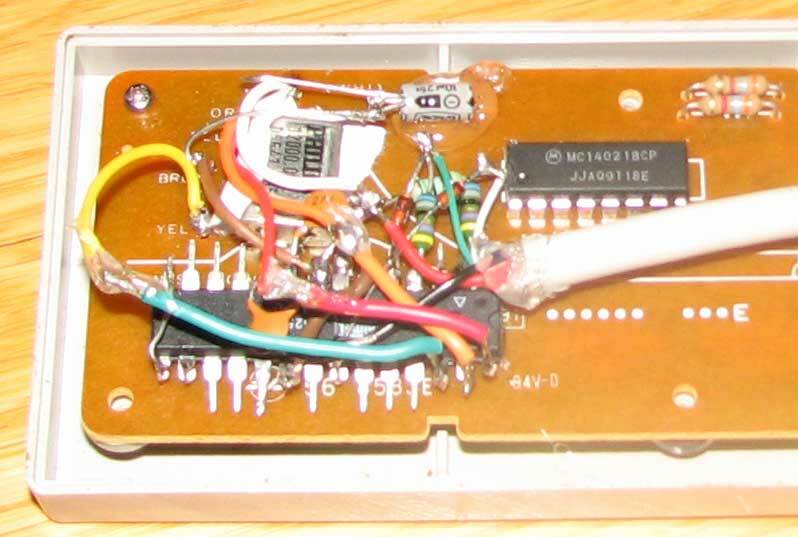 Then, to enable the special NES-Famicom microphone mode, PC1 and PC0 must be tied together. 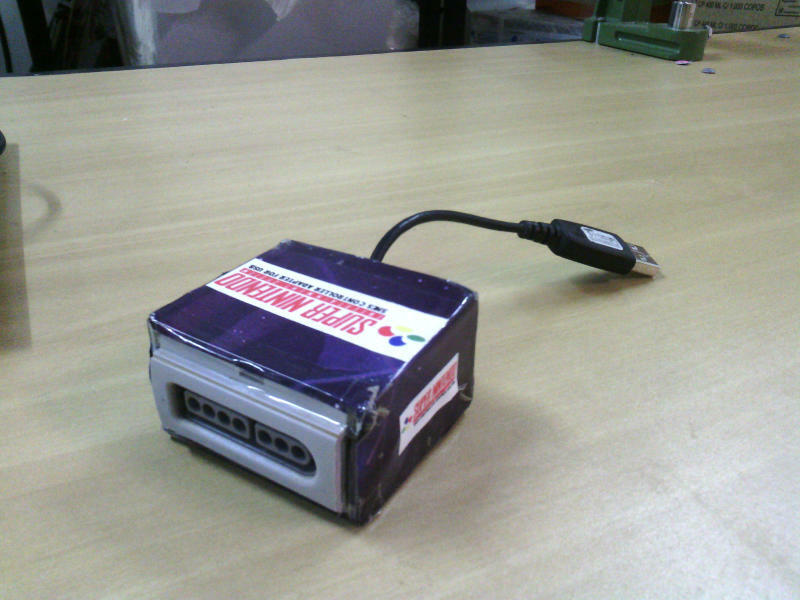 Here is an example of a Famicom controller 2 converted to USB. 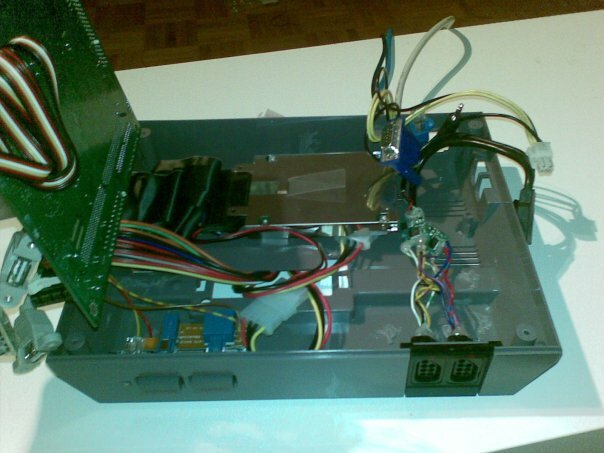 Not much space is available in the enclosure (less than in a NES controller)... 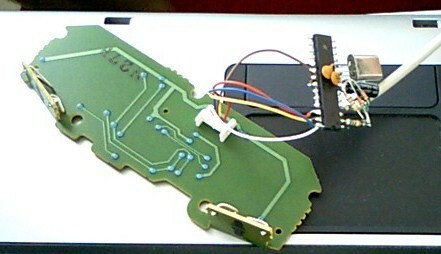 Some plastic had to be cut away for the PCB to fit inside. 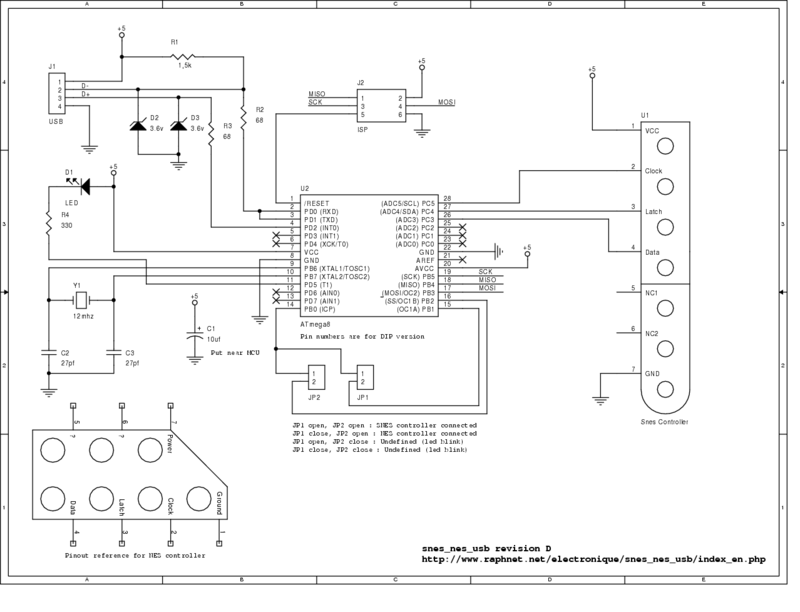 I found a full Famicom schematic on this japanese website. The controllers are on page 1, lower left. I like to see how others build this project. Please send me your pictures and I will put some of them here.